Does listening really matter to you? How can you overcome defensiveness when talking to people? 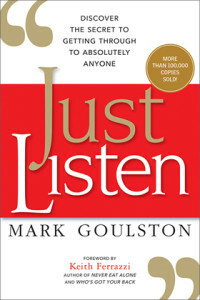 Dr Mark Goulston, author of Just Listen. Discover the Secret to Getting Through to Absolutely Anyone, which just became the top book in the world, on listening, talks exclusively with us about how to listen. Chances are high that, if you asked yourself whether you thought you were a good listener, you would rate yourself as above average. Who wouldn’t like to believe that they listen well? But the truth is that really effective listening is about how the other person, the one talking (TOT), perceives you have done. Your TOT must come away from the conversation feeling heard. We all seek to to be heard, to be understood, to be accepted. But when the tables are turned, we find that these very qualities that we seek in others, are hard enough for us to apply to ourselves. People don’t do what’s important; they do what they care about. Assuming we have made our point, would you like some help in becoming a better listener beginning now? Dr Mark Goulston, a Los Angeles based business psychiatrist, CEO coach and international speaker, has a personal mission to “heal the world, one conversation at a time”. The author of six books, including his 1996 book, Get Out of Your Own Way (which recently reached #1 in self help books at Amazon), Mark believes that the secret to getting through to anyone lies in getting them to feel like you ‘get’ them. This is about feeling understood and accepted. Mark talks about three ‘gets’ here. Firstly, that you get or understand their company. Secondly, that you get them in terms of their roles and responsibilities in their company and results that their performance is judged with. Thirdly, their ambitions and aspirations, hopes and dreams, concerns and fears. Why is that important? Too often, people feel that no one gets them and most other people are too self involved anyway. That creates a feeling of psychological aloneness, and maybe, loneliness. When you understand them and what they are about, then the feeling of aloneness they feel disappears. Here, Mark shares with us, how we can listen better and avoid a defensive attitude. Q : One of the mistakes you explain people typically make is that they create more resistance by shifting up rather than downshifting in a difficult or emotive conversation. Can you elaborate on this? Mark : When in an emotional situation, part of the emotional brain, the amygdala, prevents a rational approach based on the here and now and actually takes us back to pre-set patterns. This prevents us from dealing with the situation. You are in reptile ‘fight or flight’ mode. Downshifting means pausing to realise that you are reacting, feeling reactive and understanding that it’s best not to give in to that. This involves asking more questions and having the other person talk more especially about the things that matter most to them. This revelation will come through with the emotive or strong words they use such as ‘amazing’, ‘awful’ or any word with increased emotion. In fact, a good habit to get into is to be aware when you are feeling reactive and then ask more questions. So, one suggestion I make, so that you can increase collaboration across silos, is what I call the five step apology. Most people will lower their guard to hear an apology but raise it if you seek to push or convince them of something. If you think about the evolution of animals, a one-cell animal with a nucleus, gradually evolved into a homosapien, with an upper human ‘thinking’ brain, a middle mammalian ‘feeling’ brain and a lower reptile ‘fight or flight’ brain. As we have evolved, it has enabled the upper brain to override the other brains within and enabled us to select different options that all the other animals don’t select. This evolution has also allowed us to specialise. Which means that we have the ability to think very deeply about certain things. The problem with what I call the ‘specialist dilemma’, which incidentally is getting worse, is that the more you develop your specialty, the less you can comprehend other specialties. 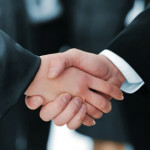 For example, when you have built a reputation and experience in the sales line, it is harder for you to understand things in operations or finance. A result of this specialisation is that you will try, therefore, to bring people into your specialty because this is the area that you feel competent, confident and in control. The dilemma presented by the specialist is that if you stay within your realm of specialty, others will only want to know the bottom line as it affects them. If you go beyond your areas of specialty, you may be seen by others in your field of specialty has having diluted yourself or as lacking the strength of your position. What exists in most people is not resistance, but a form of non-rational, non-functional self-preservation. If someone who doesn’t understand technology is resisting you, and you are in technology, they may be feeling intimidated by you or may be embarrassed by how little they understand. They would want to assure themselves of what they are good at. So, one suggestion I make so that you can increase collaboration across silos is what I call the five step apology. Most people will lower their guard to hear an apology but raise it if you seek to push or convince them of something. Step two : Ask “Would you agree that we look at things differently?” Naturally, they would say yes. Naturally, this may not be acceptable across some cultures, generations and specialty silos. And if you don’t believe in the apology, it will be an empty manipulation. However, the truth is that both parties do not see the points raised in the same way. Due to the fact that you wanted them to obey you, that is part of the resistance you’re feeling. Even though people say that listening and communication are important, most people only care about listening with regard to you listening to them. One way to demonstrate this is to ask the question : How motivated are you, to work with another person, that instead of listening to you and what you have to say, ignores or dismisses what you say or worse still, ridicules it? Most would argue that it would take away their motivation because of resentment. Don’t you then think, that this is happening to others, when you do those same things to them? 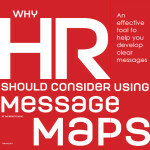 Q : In today’s very noisy, opinionated world, it is very easy to mistake easy access to people as impactful access. What can we do to conduct a real test about how effective we are in communicating with others? One of the reasons we prefer to talk, rather than listen is that talking is a motor function and it’s a stress reliever. When we talk, we get things off our chest. But other people feel resentful, having to take on all of this. Listening, however, is a sensory function, where we learn to understand the other person and we identify their three ‘gets’. You want to do this because there is a direct correlation based on how much you understand and actually make an effort to do so. If your score is less than 10, ask what observable thing you could do to increase your rating. Ask what negative thing you should stop doing to increase your rating of each. You simply cannot get defensive – you want to clarify so that it becomes observable enough. Q: How do you overcome being defensive? Mark : I think a helpful question is to ask yourself how much you respect people who can take criticism and be grateful to receive it versus someone who becomes angry or hurt as soon as they hear the slightest criticism. To motivate yourself to improve, imagine a negative trait of your dad/mom that you don’t want to emulate yourself. As soon as you commit yourself to improving this, the respect others will have for you will skyrocket. Q : How does a person re-wire themselves to really listen? Is this truly possible and what does it take? Mark : I think what helps us is when another person we care about and who cares about us, is able to share that they have felt frustrated, angered or even hurt by us. Go to your superior who evaluates your performance and ask them how much they take into consideration, your attitude and communication skills, beyond your technical expertise. More often, if they are completely honest, you will find that they do take it into account. We hire people, after all, for what they know but we fire them for who they are. Q : What is the most effective way of dealing with our reptile brain when it seems to take over in situations or conversations? Mark : Take a sheet of paper and draw a line in the middle. No one else is to see this. On the left column, write down all the situations and people who motivate, inspire and energise you. On the right column, write down all the situations and people who frustrate, anger and upset you. Make a commitment, that in 30 days, you will increase contact with the people on the left column and you will minimise contact with people on the right column. Those on the right column will trigger a amygdala hijack. “You’ve got to be kidding” (said in a playful way). Q : There are many potential areas of conflict in organisation-wide relationships : discord and mis-alignment between different departments, us-them mentality between different factions, generational differences, long-entrenched customs and behaviours that are long embedded. If you are coming in to lead change, to make a difference in your team or organisation, what is the first step you believe is needed, to do so? Q : Your Huffpost article on Why We’d Rather Talk than Listen was illuminating. A big take-away point was that listening is a sensory function and talking is a motor function. Can you elaborate on what the challenge is? Mark : One of the reasons we prefer to talk, rather than listen is that talking is a motor function and it’s a stress reliever. When we talk, we get things off our chest. But other people feel resentful, having to take on all of this. Listening, however, is a sensory function, where we learn to understand the other person and we identify their three ‘gets’. What you will discover is that it is impossible to do a motor function (talk) and listen (sensory) at the same time. But the great benefit to listening and caring about what you’re hearing is that, in this busy world, you will trigger gratitude. And that is one thing can change the other person’s attitude. There are two qualities in communication that I refer to as a plusser or topper. 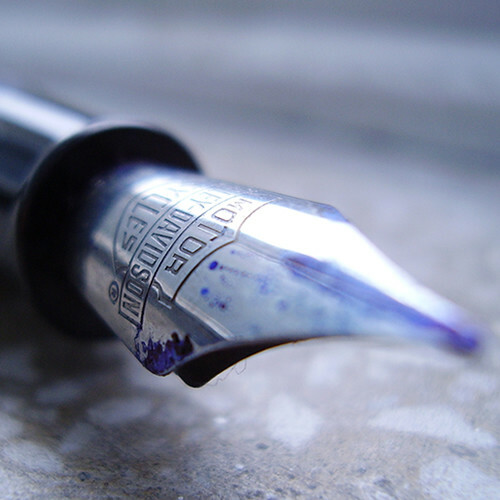 A plusser adds to the conversation and builds on the quality of it. A topper, however, interrupts, then brags or talks about themselves as if they didn’t hear the conversation. A good daily action for you is to ask yourself, after every conversation, whether you were a plusser or topper. 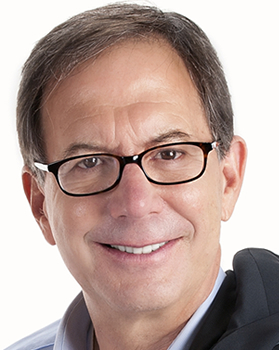 Dr. Mark Goulston is the Founder and CEO of the Goulston Group that works with Fortune 500 multinational companies to increase “buy in” and engagement at all levels. He is the author of six books including the #1 international best selling book, “Just Listen” Discover the Secret to Getting Through to Absolutely Anyone.” He speaks internationally and writes for Harvard Business Review, Psychology Today, Fast Company, Business Insider and Huffington Post and appears internationally on television, radio, internet and print media as a communication expert . The AMA (American Management Association) is running a two day course based on the book ‘Just Listen: Discover the Secret to Getting Through to Absolutely Anyone’. The hands-on course is aimed at helping you get your emotions under control when necessary, discover ways to become more interested in other people so conversations aren’t competitions, and get past preconceived notions that block true progress in relationships. Find out more about the course. 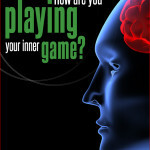 How are you playing your inner game? Piet Hilarides : Be clear in your goals and values. Every decision or action must be informed by these.